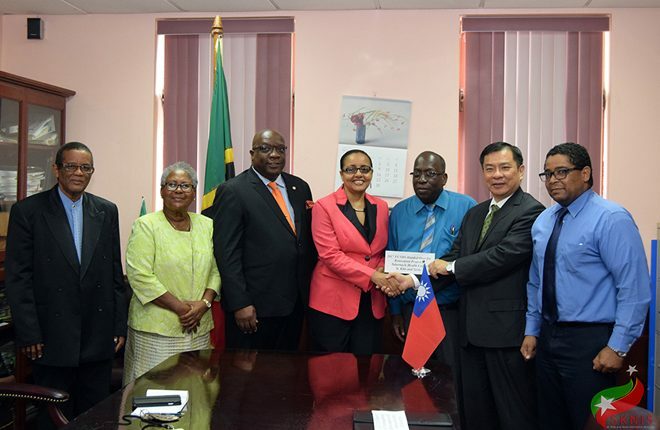 (Press Unit in the Office of the Prime Minister) – The Dr. the Honourable Timothy Harris-led Team Unity Government of St. Kitts and Nevis continues to place much emphasis on the successful delivery of primary healthcare services in the Federation. Against this backdrop, the Government has secured funding from the Government of the Republic of China (Taiwan) for the construction of a new health centre in Tabernacle. 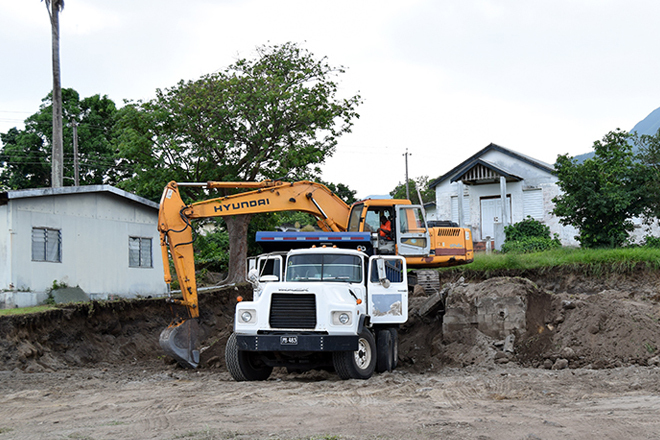 The Tabernacle Health Centre is presently operating out of the facility that houses the Tabernacle Daycare centre after the building that previously housed the facility was forcibly closed as a result of unfit and hazardous conditions. Speaking during a recent cheque handing over ceremony, Minister of State within the Ministry of Health, the Honourable Wendy Phipps, said the construction of a brand new facility in Tabernacle is in keeping with the Government’s commitment of making primary healthcare services readily available to every resident and citizen of St. Kitts and Nevis. Preparatory work for the new facility has already started. “That site before the demolition would have witnessed extensive termite infestation, especially subterranean termites – those are the ones who would actually cut through concrete. The actual vegetation around the premises all had to be removed because of widespread infestation in terms of mature crops [such as] avocado, coconut trees, mango trees etc. As a result of that we also would be facing extensive soil treatment in order to put back that new facility on that spot to prevent any type of future infestation of the new investment,” Senator Phipps said, adding that there was also the complete implosion of the septic system at the old facility. Commenting on the need for the reconstruction of the facility, Prime Minister Dr. the Honourable Timothy Harris said the full operations of the Tabernacle Daycare Centre are not being realized, since the health services were relocated to that building. “The spatial requirement that was determined as necessary for the delivery of daycare services in Tabernacle was compromised by that act, as the space then had to be yielded to get the health service going and obviously the centre was not built with that in mind and you had the usual then complaints and deficiencies,” said Dr. Harris, who is the Parliamentary Representative for Constituency #7 (Belle Vue to Ottleys). Since assuming office in 2015, the Team Unity Administration, with the assistance of its development partners, has made significant investments to upgrade healthcare facilities throughout the Federation and improve access to much needed healthcare services. This includes the renovation of the Mary Charles Hospital in Molineux, repairs to the ceiling of the Joseph N. France (JNF) General Hospital, the establishment of the Health Information System (HIS) at the General Hospital, as well as the opening of an Oncology Unit at the JNF to treat cancer patients and the opening of the Mental Health Day Treatment Centre at Lime Kiln Commercial Development.